A respected guide for creatives, artists and photographers alike, Pinhole Photography is packed with all the information you need to understand and get underway with this wonderfully quirky, creative technique. 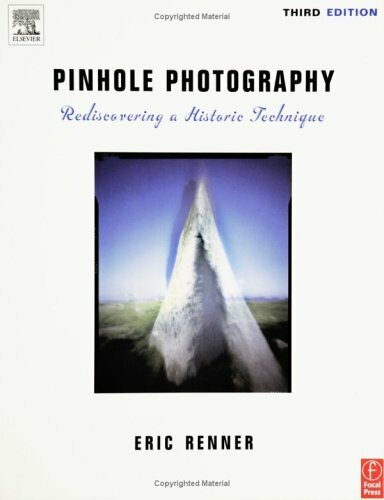 Covering pinhole photography from its historical roots, pinhole expert Eric Renner, founder of pinholeresource.com, fully explores the theory and practical application of pinhole in this beautiful resource. Packed with inspiring images, instructional tips and information on a variety of pinhole cameras for beginner and advanced photographers, this classic text now offers a new chapter on digital imaging and more in depth how-to coverage for beginners, as well as revised exposure guides and optimal pinhole charts. 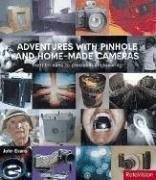 With an expanded gallery of full-color photographs displaying the creative results of pinhole cameras, along with listings of workshops, pinhole photographer's websites, pinhole books and suppliers of pinhole equipment, this is the one guide you need to learn the craft and navigate the industry. The last section which contains examples from other pinhole photographers are worth looking though. You'll be inspired to read some other books and construct your camera. As I said, this book is too technical for a novice. 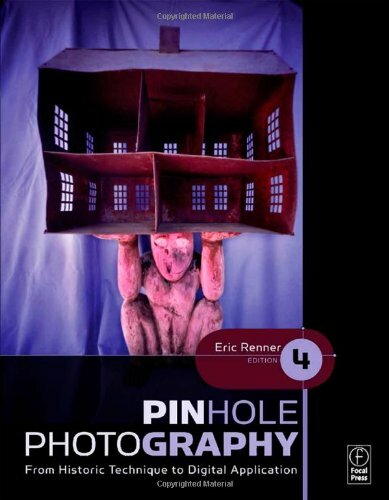 The fourth updated edition of Eric Renner's PINHOLE PHOTOGRAPHY FROM HISTORIC TECHNIQUE TO DIGITAL APPLICATION covers all aspects of pinhole photography from science to the latest digital techniques. From a beginner's introduction to pinhole cameras to expanded information and zone plate practices for more advanced users, this is packed with color photos of the latest, most original pinhole results. "Rediscovering a historical technique" was the old subtitle for the earlier editions. Now it's "From historical technique to digital application." And that change of subtitle is revealing. There's a lot more here on pinholes and zone plates for digital cameras, and a lot less on early camera obscura experiments. There's still a good emphasis on the do-it-yourself aspects which is a good thing with pinholes as you really can make and modify good quality instruments. No matter how hard you work if you make wine it's not likely to be better than the $7 bottle at the corner store, but your twenty minute camera construction can work as well as a Holga. And your modifications to an old box camera can produce brilliant images. Excellent, good overview of camera construction details, pinhole formulas explained.This complements Renner's book on Pinhole Photography.The pinhole is a basic tool in optical (and x-ray) physics that deserves to be better understood and taught.Why do I describe it as incomplete? Because there is always something new and different that can be done with pinhole optics. I'm a professional photographer and I love pinhole photography as a way to relax. I'm not sure what I expected when I bought this book but I was very pleased. This is a fantastic overview and "How-To" on pinhole photography.I think the instructions are explained very well and there is enough background without overdoing it. The information on processing prints would make it easy for ANY beginner. 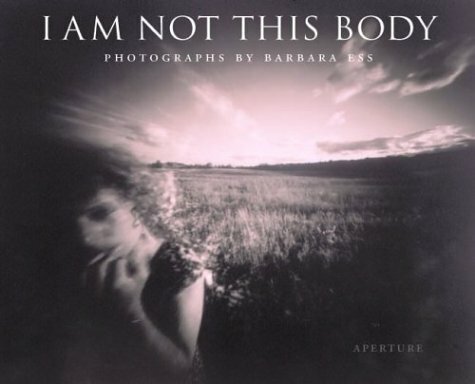 If you're interested in pinhole photography, buy this book. This book is a delight.Proper balance between technical acuracy and enjoyable reading. Highly recommended for first time adventures into pinhole photography. True beginners might appreciate a bit more detail in the construction of the three camera types but exploration is part of the fun. I should think the book highly suitable for younger readers especially. My daughter-in-law who is the photographer of the family managed a wonderful array of spectacular pictures using this book as a guide. Since I handicrafted her wooden pinhole camera, I also am pleased with the fact the the thing worked and that her pictures were so beautiful. 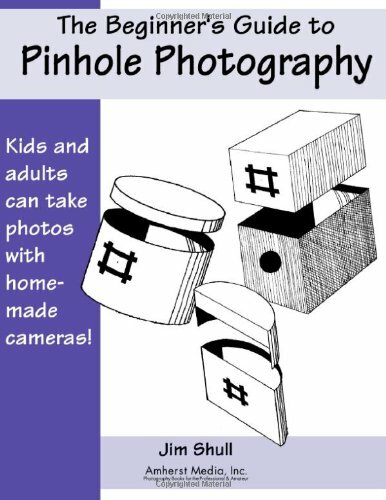 This is a wonderful introductory text to the world of pinhole photography; Mr. Shull is very clear, and provides easy to follow instructions and diagrams for creating simple pinhole cameras and printing the resultant images. His instructions are well-laid enough for even a photographic novice to use this books as a teaching text, for example for children, as a good science project for understanding light and/or basic photography. He keeps it simple enough that experienced pinholers will want to look elsewhere for detailed technical information or designs to push the edges of pinhole practice, but this is also the book's strength as a beginner's guide. Strongly recommended. Jim Shull's second book is an expanded version of the first, 'The Hole Thing', which inspired me to pursue pinhole photography. The new version includes more information and fotografs. Just as the first book, itdifferentiates between photography and fotografy. In his folksy,non-technical style, Jim Shull explains the ins and outs of pinholefotografy. Where technical information must be given, he does so in a veryaccessible manner. 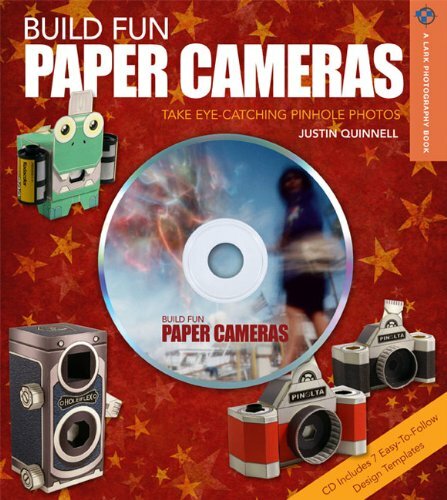 His guide contains essential information enablingbeginners to construct and use pinhole cameras. It also shows the minimalequipment needed to process your on pictures and guides you through eachstep on how to do it. Many teachers will find Jim's guide an excellentreference. Primitive Photography considers the hand-made photographic process in its entirety, showing the reader how to make box-cameras, lenses, paper negatives and salt prints, using inexpensive tools and materials found in most hardware and art-supply stores. Step-by-step procedures are presented alongside theoretical explanations and historical background. Streamlined calotype procedures are demonstrated, featuring different paper negative processes and overlooked, developing-out printing methods. Primitive Photography combines the simplicity of pinhole photography, the handmade quality of alternative processes, and the precision of large-format. For those seeking alternatives to commercially prepared material as well as digital photography, it provides the instructions for creating the entire photographic process from the ground up. Given its scope and treatment of the photographic process as a whole, this may be the first book of its kind to appear in over a century. Unlike most of my friends, I got into photography at the high-tech end and immediately started working backwards, starting digital and moving into color film and then black and white printing in a local darkroom, an ever more scarce facility these days. I am never satisfied with being reliant on commercial processes or software designers to do my work for me, I am a control freak and an individualist when it comes to photography. Studying historical chemical processes led me to want to experiment with tintypes, but I needed a 4x5 camera first, and they are very expensive. While searching for info on plate photography I ran across this book and figured I'd give it a try. Greene says he was motivated by a sense that traditional processes and materials would soon be off the market and he wanted to keep some of the old knowledge and skillsets alive, something I've also thought of. A few weeks later and I am the proud owner of a hand-crafted 4x5 camera using the plans in this book as a template, with modifications. Not a throw-away cardboard pinhole camera, either, but a crafted instrument which I hope to be using for years. If you love to make things, and you have a few simple hand tools, you can do this. The only power tools I used were an orbit sander and a cordless drill. If you don't want to handle chemicals in your home, that's okay, because Greene's camera designs will work with commercial sheet film or photo paper. You can also substitute a commercially-made lens for the hand-made ones he makes in the book. It's up to you to decide how much DIY you wish to do. Except for some chemicals, which you would need to order, this book is a guide to doing photography end-to-end, from building your camera out of hardware-store parts to printing your own photos, the way it was once done long ago. Although much of the book is written as a set of instructions, Greene also discusses the history of each design, lens type, and chemical process, and derives his plans from historical material. I plan on following his instructions to try my hand at lens-building, soon, and I love it. For those who like to make things with their own hands, and love history and photography, this book is recommended. If you teach photography, you might consider using this book for a class project, since it is not only fun but trains the photographer to learn the fundamentals and gain an appreciation for all the high-tech toys we've been blessed with in the last 50 years. This book is perhaps one of the best ever written in the field of alternative photography. And while that may seem like a bombastic statement,I assure you that nowhere else will you find a book in print that lays out the complexities of lens design, camera construction, photographic chemistry, etc. in a way that a non-math, non-science layman like myself can understand. I thoroughly recommend this book for any person tired of the "digital revolution" and want to get back to the true joy of photography- the process! With the rapid disappearance of film, this book is the perfect vehicle for anyone wanting the capability to produce photographs that are truly original.Not only make the photographs, but the camera and lenses, too.And each facet of each component of Victorian photography is evaluaetd and then the ideal process recommended and detailed.Great book! Step-by-Step Guide to mid-19th Century Cameras & Negatives. Originally conceived as a means to "photographic self-sufficiency" -the ability to make photographs completely from scratch, author and photographer Alan Greene has writtenan impressive guide to making cameras, lenses, and calotypes that will be invaluable to students of mid-19th century photographic technique and any photographers who would like to discover new ways of seeing and photographing the world around them. The book consists of five chapters: "The Film Holder", "The Camera Body", "The Lens", "Calotype Paper Negatives", and "Salt Prints by Development". Each chapter provides detailed step-by-step instructions on how to make these items, along with lists of the tools and materials needed, and some historical background. Instructions are accompanied by detailed diagrams where appropriate and sometimes by photographs illustrating the procedure. Most of the necessary materials may be found at hardware and art supply stores, although you will have to get some chemicals, lens elements and a contact printing frame elsewhere. There is a list of sources for supplies in the back of the book, as well as a bibliography that may interest photographic historians, and an index. Chapter 1, "The Film Holder", is dedicated to making film holders and focusing screens. Instructions are given for two sizes, one that is intended for wet paper negatives and one for dry negatives. You may choose to make the holders in a different size, however. Supplementary measurements are provided for those wishing to construct a film holder for use in a modern 8x10 view camera, so you won't have to do the conversions yourself. Chapter 3, "The Lens", is dedicated to making 4 types of lenses: the singlet (landscape lens), the symmetrical duplet (periscopic lens), the asymmetrical duplet (portrait lens), and the symmetrical triplet. These lenses may be used with a modern view camera by substituting the appropriate lens board. Instructions for making lens boards for both cameras from the previous chapter are provided. This chapter also does a nice job of explaining the basics of simple, combined, and compound lenses and the properties of lenses in general: focal length, angle of view, circle of illumination, aperture, transmittance, and various types of aberration. Chapter 4, "Calotype Paper Negatives", is dedicated to 2 types of paper negatives: wet-paper process and waxed-paper process. Wet-paper is considered most appropriate for portraiture because the negatives must be used quickly after sensitizing, before they dry out. Waxed-paper requires longer exposures but is dry and need not be used quickly. These negatives are suited to landscape, architecture, and anything that requires time to locate. There are lists of recommended papers for both processes. Step-by-step instructions take the reader through Iodizing, Sensitizing, Exposing, Developing, and Waxing the negatives. You can choose from several recipes for Iodizing and Sensitizing solutions. Chapter 5, "Salt Prints by Development", is dedicated to making prints. The author has chosen to give instructions for making prints "by development", which is a combined chemical and sunlight procedure, because those prints are faster, less expensive, offer more contrast control, and are more stable than prints made with sunlight alone. There is a list of recommended papers. Instructions are given for both Immersion and Floatation Starch-sizing procedures, Salting, Sensitizing, Exposing, and Developing the print. Greene has also included instructions for The Serum Process, which uses whey instead of salt, including directions for how to make the whey from milk. "Primitive Photography: A Guide to Making Cameras, Lenses, and Calotypes" is a terrific manual for mid-19th century printing processes. I love the digital darkroom, but I find the basics of image capture and camera construction fascinating. To say that building the equipment in this book or making calotypes is a lot of trouble would be an understatement. But being so directly involved in creating an image on paper has an appeal, at least from time-to-time, that pressing a shutter button on an impressive piece of 21st century technology does not. "Primitive Photography" provides some interesting alternative ways to see the world and to capture it. Photography is driven by technological innovation, but Adventures with Pinhole and Homemade Cameras strikes off in a radically different direction. Featuring the images of renowned artists and photographers, it describes a rich variety of imaginative approaches, using camera construction techniques which range in sophistication from precision engineering with state-of-the-art lenses to piecing a pinhole in a beer can! Study this book. Build some of the projects. Shoot photos with the cameras you build.I promise you that when you're done, you'll understand more about photography than you ever would learn taking pictures on your own with a store-bought digital or film camera.The ideas in this book are fiendishly clever, and will help you explore imaging concepts that you never dreamed existed.This book should be required reading at any university or community college with a beginning photo course. I was NOT disappointed with ''Adventures With Pinhole and Home-Made Cameras'' because it demonstrates a variety of radically different approaches to photography with unusual cameras. This book offers brief sketches of their making - exactly what I wanted. There is no need for blueprints as I have no desire to follow EXACTLY where others have already trod. ''Adventures'' is the first word in the title, after all. This book is eminently practically for the photographic tinkerer who wishes to think for him/herself and has no need to be led by the hand. Thankfully, even the most sophisticated designs in the book are explained in at least a cursory way. Detailed plans, step-by-step instructions and parts lists are not what this book is about : you will not be spoon-fed stock design instructions. Detailed descriptions and breakdowns of real home-made cameras are unnecessary as builders will make use of whatever materials and techniques are available to them! The book also offers tired old ideas, like using glass as an improvised lens (see ''Weegee's Creative Camera'', 1959), which may be a boon for the uninitiated. There is also a section in the back with information on making pinholes, calculating exposure times, etc. Most of this information, of course, can be easily found on the Internet (or your local library), the many details of which will be greatly expanded upon. Free interactive pinhole camera design software can easily be located online as well. I bought this book as an educated photographer with an interest in building some unusual designs, so I have no need to copy existing camera designs ... how unusual would such a camera be?Thankfully this book makes no claims which it does not fulfill. Allow me to point out the first word in the title again : ADVENTURES.Blaze your own trail! This book will inspire all but the insipid, and will encourage even the timid to try. Don't allow one bad (badly reasoned, I might add) review to delay your purchase as I had done. More of a general book on pinhole, slit, direct paper, etc. photography with great example pix & limited descriptions/photos of worldwide photographers & their "cameras".More than I could ever imaging. How about a VW van? Ever since I own this book, I find myself picking it up again and again. It is divided into two parts: one containing an interesting array of very diverse photographers, united only by their use of non-readymade equipment. Personally, I find the way in which the hyper-sharp pictures of Alistair Thain, taken with precision-engineerd cameras of his own design, reveal their disturbing aspects as inspiring as the monochrome pinhole pictures of Walter Crump whose equipment is reduced to bare bones - and there are other very interesting artists. If there is an artistic message emanating from this part, it is about the relativity of technical aspects in photographic art: personal aims, a distinct individual perspective matter so much more than the reliance on the latest technological advance. The second part deals with practical aspects of tinkering one's own equipment: it includes very useful hints and tables for making pinholes, zone plates, lenses, shutters, different sizes of film, camera bodies, focussing helps and view finders. While by no means exhaustive, these tips should be seen as a jumping-off place to develop one's own design - which may very well lead to much more satisfying results than buying the latest gadget. I was disappointed to discover that "Adventures With Pinhole and Home-Made Cameras" amounts basically to a coffee table book of photographs, with frustratingly brief sketches of the "who and how" of their making. It is not a practically-oriented book for the photographic tinkerer. Even the most sophisticated designs in the book are explained in only a cursory way. Helpful diagrams and hints to construction techniques are rare. Detailed descriptions and breakdowns of real home-made cameras are missing altogether! The book does offer a some clever ideas, like using a wine glass as an improvised lens. There is also a section in the back with information on making pinholes, calculating exposure, etc. These are only a precious few pages, however, and most of the information can be easily found elsewhere. Even in the age of digital, we can have plenty of creative fun the low-tech (and low-cost) way: by building cool paper cameras and exploring the fascinating world of pinhole photography. Justin Quinell takes photography back to its roots by demonstrating how to create attractive pinhole cameras—that actually work. Instead of a lens, these cameras have a very tiny hole that “focuses” every point of light passing through it onto paper, thus imprinting the image permanently. A CD, included with the book, contains seven templates for making the cameras; the guide provides directions and advice on shooting successful, artistic pinhole photographs in many different conditions. Both beginning and experienced photographers will find these eye-opening! Fun to read but is it worth the price? The worth of this book depends a lot on your needs.If you are looking into pinhole photography as something novel and aren't really serious about it, this is a fun book to read.However, if you are really interested in pinhole photography as an art form, there are better books on which to spend your money.You make the call. I sold my copy and bought Eric Renner's book. I've never owned a book of professional photography but was inspired by the reviewer notes to buy this online without a preview. I can honestly say that if i had been able to open the pages and experience the images even briefly--i wouldn't have purchased the collection. Yes, the psychological interiour is filled with murky matter and we are bound to witness it and some are gifted at illuminating it, but there was no heart revelation in this work for me. It just kind of felt ragged out and sloppy. No, we don't need another book of glossy yosemite postcards, but for thirty bucks and all the accolades i expected more of a transformative experience and less "event-bam". But hey, the snake on the den floor was cool. A respected guide for students, amateurs, and advanced photographers - inside you will find more varieties of pinhole cameras for beginners, expanded instructional information on pinhole and zone plate practices, and new information on where to get pinhole supplies throughout the world. With listings of workshops, pinhole photographer's web sites, pinhole books available, and a guide to commercial and individual suppliers of pinhole equipment, this is the one guide you'll need to navigate the industry. Now in full-color, this classic offers a new chapter on camera obscuras, a more in depth "how-to" chapter for beginners as well as a new chapter for advanced photographers, and revised exposure guides and optimal pinhole charts. I really enjoy reading this book. The historical section would be of interest to students of 15th-17th century painting, optics, and science in general. There are many, many full color images, spanning the range of pinholes, from the simple (homemade plastic pinhole cameras that are disposable) to NASA pinhole images of X-ray and Gamma ray sources. The last chapter covers most of the equations and "build" information needed to get started and properly expose your first pinhole photos. The only caveat would be that a beginner should probably also buy a copy of "The Hole Thing" for different explanations and more construction information. we never received the book!! It's a very good book for those who want to learn more about pinhole photography. 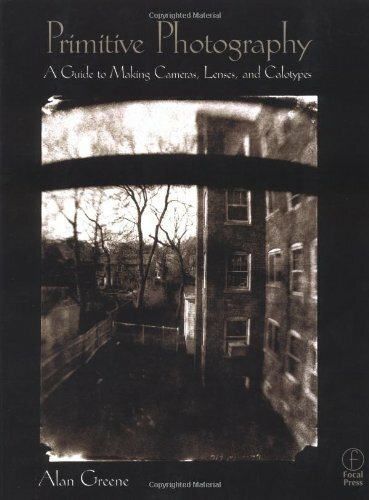 I highly recommend this book for anyone interested in pinhole photography. It thoroughly covers history, camera construction and technique. I use it for my photo class and the students love it. 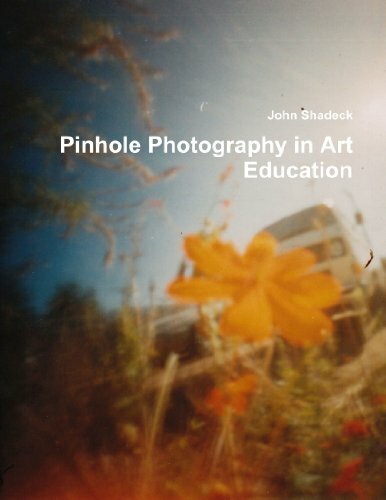 the book has many examples that are very helpful in showing my students the various possibilities of pinhole imaging. A wonderful book and an excellent resource. 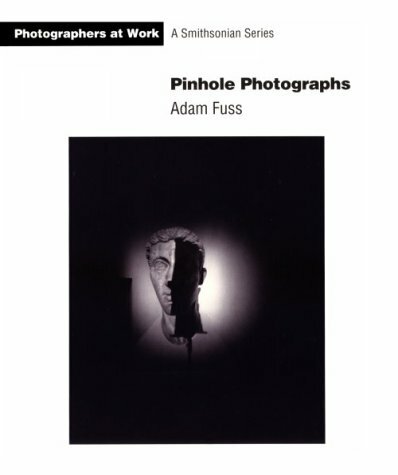 This was a bit of a disappointment as I expected a broader discussion of Fuss' pinhole & nontraditional photographic techniques rather than a book which covered only a small, not terribly remarkable subset of his work (All shots taken inside Rome's Palentine Museum.) In this sense, the "photographers at work" series name is a little misleading, and does not provide any real insights to his methodology or larger ideas about image making, instead concentrating on basic questions.